So far clefworksadmin has created 3 blog entries. We’re delighted to bring these talented musicians to Montgomery. 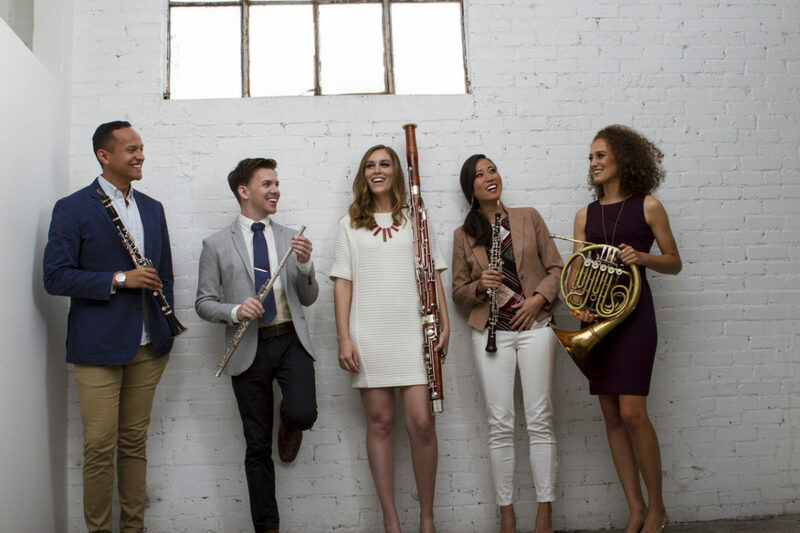 Don’t miss this young, vibrant wind quintet. Flute, Bassoon, Clarinet, Oboe and French Horn will surprise and delight you! Buy your tickets now for Friday, February 22nd, 2019! We are thrilled to announce the winner of our 2017 Composition Competition, Roger Briggs! Roger’s piece “Friction” is the perfect complement to Catalyst’s Hemispheres Program that was performed on March 10th. Roger spoke eloquently about the force of music and noise to create friction in our lives. Catalyst tackled the complex techniques and left us breathless with their skill. To learn more about Roger, visit his website. It was certainly a difficult decision thanks to the high caliber of all of the selections. 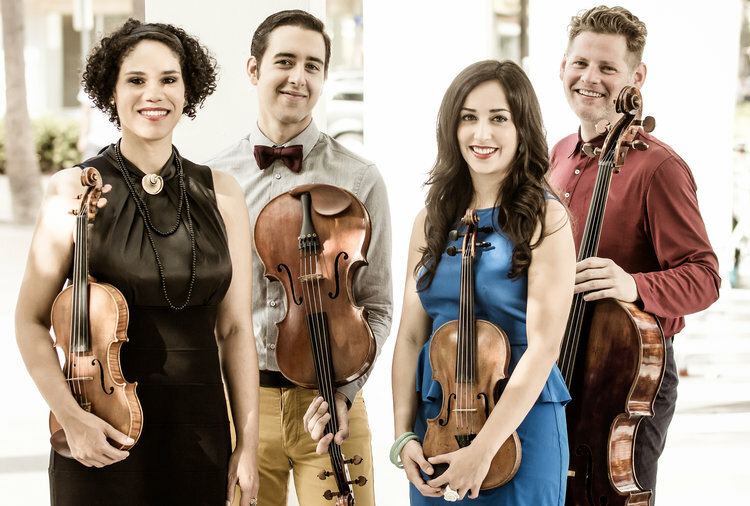 Catalyst Quartet, who judged this year’s competition, said they were overwhelmed with options. We are so enthused about the quality and exuberance of those composers that are creating new music for today. We wish you all great success. Congratulations as well to our first runner up, Will Huff. His piece was “Three Monologues About the Same Thing.” Well done, Will! Catalyst Quartet, an award winning quartet out of New York shared their talents with Montgomery March 7th at school outreach concerts. 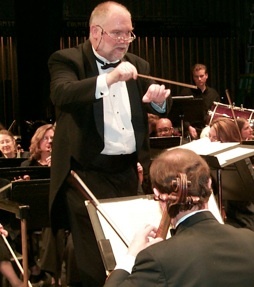 On Friday, March 10th the group also performed a family-friendly concert at City Auditorium. We invited everyone to join us for an engaging and exciting night of music in Montgomery, and they didn’t disappoint! The quartet’s visit was part of our 10th Anniversary Festival, which kicked off with local favorites in a laid back setting, our Jazz Brunch at A&P Social, and the music of the Lo-Fi Loungers. On the 8th, there was a unique opportunity to hear chamber music as it was originally intended, in a private home! Thank you to The Cottage Hill Foundation for sponsoring that event. Music speaks when there are no words.